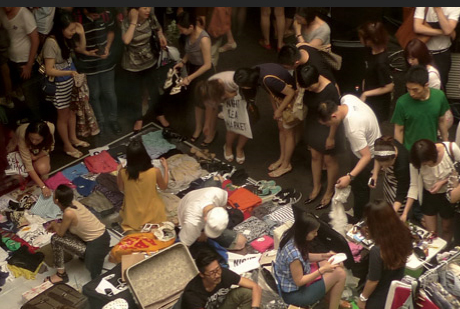 You are invited to BLING & PLATOON NIGHT FLEA MARKET in September, which is the most sensitive season of all time for the trend-setters with a change in the weather. The night flea market will offer various shopping options from rare and precious items, hand-made and direct sales by designers to memorable stuff that has been hidden away deeply in wardrobes and closets. The regular program will wash away all your concerns about fashion and lifestyle — the 1000 won auction, the POJANGMACHA DELUXE and dj sets. Visit Platoon to see, hear, eat, buy and enjoy! In order to be a seller, apply on the bling Web site (KRW 20,000).